Married Biography / Entertainment / Katie Price launches a new children clothing line and talks of future business ventures! Katie Price, 40 has started a new business venture. She said that it will shock people. 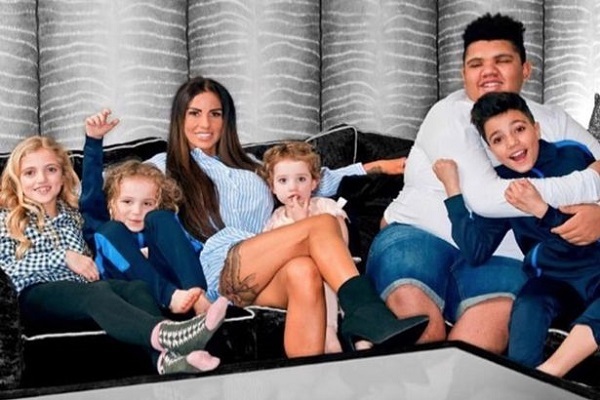 So what exactly is this surprise package of Katie Price? Katie Price said that the last year has been the s**t year for her. But now she has initiated a new business venture. She said that she will be away from the camera now but will help others to gain confidence facing the cameras. She will be taking a business move that will shock people, she said. “I’m setting that up at the moment, and eventually I’ll go into management. “I’ve been down. I’ve got low and I’ve got back up again. “I’m always broody. I wanna adopt. Katie is the mother of five children. Her eldest son is Harvey, 16 and Katie shares him with her ex-boyfriend Dwight Yorke. She has two children; Junior, 13 and Princess, 11 with ex-husband Peter Andre. Her remaining two kids namely Jett, 5 and Bunny, 4 are with ex-husband Kieran Hayler.